With the winter transfer market in its final days, there are still some operations to be closed in the Spanish top division. The teams of LaLiga Santander press the hours of the transfer market to profile their squads for the second season. A little more than two days of the final whistle in the market, there are several First Clubs that still track the market in search of profiles that fit their needs. Deportivo Alavés: after the transfer of Takashi Inui from Real Betis, no further moves are expected in Vitoria. Those of Abelardo will cover the loss of Ibai Gómez with the Japanese and they are pending of any movement of last hour. Athletic: the lions do not hope changes to the closing of the market either. Kane's injury frittered the attempt to reach an agreement with Tottenham for Llorente, the main objective in the market, and there are no more demarcations that need to be covered urgently. Atlético de Madrid: the signing of Morata has filled the front pages of The last week of the market in Spain. The striker comes on loan for 18 months for Chelsea and fulfills Simeone's desire to reinforce the Atletico attack. 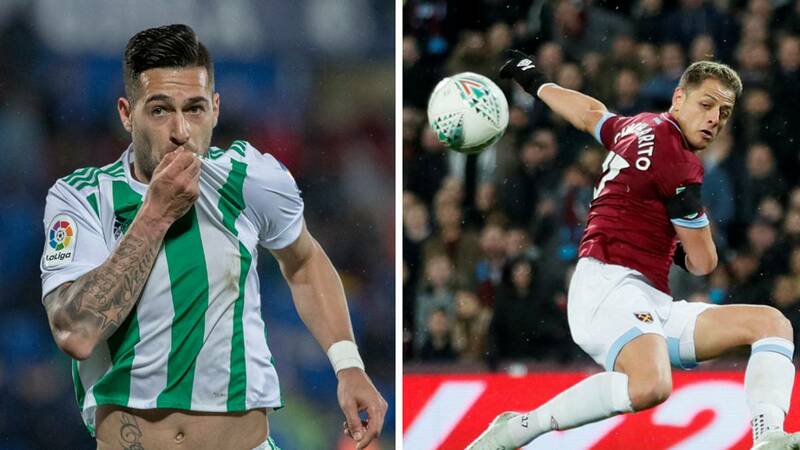 Now everything is pending of Kalinic, who aims to stay, and of Jonny, who apparently will be transferred to Wolverhampton, where he is on loan. Barcelona: after the arrivals of Murillo and Boateng, the Catalan club has announced the signing of Jean Clair Todibo , central Toulouse that could land now, since Barça does not want to be stopped. He has also signed De Jong, although he will arrive in July. In the exits, Denis Suárez has been fired, given to Arsenal, and there is no doubt what will happen to Malcom. Real Betis: in Heliópolis the news of the last days has been the mediatic arrival of Jesé, ceded until June without purchase option. In addition to the PSG tip, the club has to sign a forward and may enroll Emerson, Brazilian side that had closed for the next year. Celta: the celestial club needs to close the incorporation of a left side and a forward. The first option for the attack is Sergio León, while for the left-handed lane is playing Olaza, Boca Juniors. Eibar: in principle the most likely is that everything stays as it is, but it is possible that Marc Cardona can leave to Osasuna, who is interested in him. If this happens, the gunsmith club must tie another forward in recent days. There is some rumor, but nothing with foundation. Espanyol: in Rubi's team are pending to bring a defensive midfielder, whose name has not transcended, and should Baptistao go, would have to take the services of another striker. After the arrival of Chinese Wu Lei, no major movements are expected in Cornellá. Getafe: the azulona entity is looking for a band player, but there is still no specific name related to the Madrid team. We will have to wait to see how the end of the market is decided for those of Bordalás. Girona: those of Sacristán do not expect new incorporations. Or, at least it is not foreseen but nobody comes out of the Catalan club. Huesca: the Huesca club continues working in its sports direction in the search for reinforcements that give a boost to the team in its goal of permanence. Three or four signings are expected for Francisco, among whom is Javi Galán, of Córdoba. Rayo Vallecano: last minute movements are expected in Vallecas, since there has only been one: the departure of Lass Urge a pivot after the injury of Elustondo. Also, we can not rule out more exits, like those of Dorado and Guerra, or any other arrival, they are awaiting the decision of Athletic over Unai López. their assignment, but it does not seem that the Basques are very for the work of effecting it. Real Madrid: the targets have several objectives, but everything is focusedin reinforcing the template for July. No hustle and bustle is expected in the Chamartín offices after the arrival of Brahim and the departure of Kiko Casilla. Real Sociedad: The only movement may be that of Kevin's departure at Sporting Lisbon, but the operation seems to have cooled. For the rest, there are no planned movements. Sevilla: in principle, the template would be closed after the incorporation of Marko Rog. Valencia: in Paterna they are awaiting the departure of Batshuayi and the signing of a striker. The goal remains Chicharito, but the operation seems complicated by what West Ham asks for its transfer. Real Valladolid: Pucela would have everything closed in terms of entries. It does not happen the same in the exits, with Ivi, Cotán and Cop as possible marches of the team. Villarreal: the Submarino faces a second section of complicated season. For this, they need to close their staff with reinforcements that meet the needs. Among the demarcation that most urgently needs to be covered is central. Mercado has hit hard, but Sevilla does not want to sell it.